Mention the word ‘tempurpedic pillow’ in any conversation and chances are, there’s at least one person familiar with the term. Tempurpedic first became known in the sleep products market for its revolutionary mattress. Nowadays, the company offers mattresses and pillows, both of which use the same technology in their construction. In the recent past, tempurpedic pillows have become very popular and rightly so. For starters these pillows are designed to contour to your body; hence, supporting your head and neck perfectly while you sleep. Secondly, tempurpedic pillows are in for the long haul, lasting up to ten years or more. Also, they don’t have a strong smell as is the case with memory foam pillows. In our review, we will discuss the best tempurpedic pillow and its competitors that are available for online retail. If you are interested in other pillows such as memory foam pillows or body pillows, we’ve got guides for those as well! 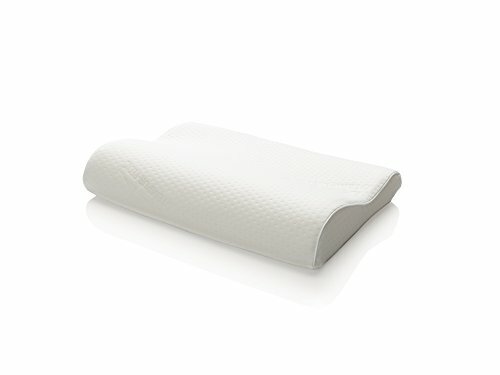 What’s the Best Tempurpedic Pillow for you? If you are looking for all-around comfort and a medium-to-soft feel, the Tempur-Curve has might be the best tempurpedic pillow for you. It provides optimal support for your neck when you rest and it is much softer than traditional memory foam pillows which tend to be too stiff. Weighing just 4.15 pounds and based on its dimensions, the Tempur-Curve is an excellent choice for petite people. As such, big-sized individuals may prefer a much larger and thicker pillow than this one. However, it’s versatile enough to be used for any sleeping position; whether you’re a back, side or stomach sleeper. Tempurpedic mostly recommends it to back sleepers. 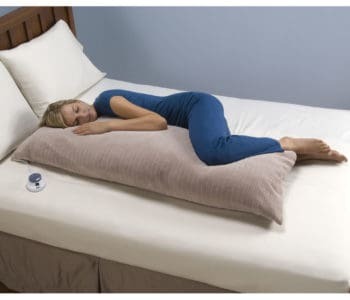 Some side sleepers, who have used this pillow, remarked that it wasn’t thick enough to be used alone for a side-sleeping position because it wasn’t tall enough to support their neck. On the bright side, the Tempur-Curve has a hypoallergenic cover. 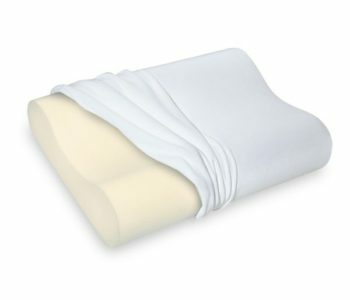 This makes it a suitable choice of pillow for persons with allergies and conditions such as asthma. You can also remove and wash the cover anytime that you wish to. The only limitation is that Tempur-Curve does not come with a pillowcase. If its shape was like that of any other pillow, this would not be a big deal. But, it’s not. The pillow has a bean-shape design, which makes finding a fitting pillow case very challenging. Overall, buyers have been pleased with the performance of Tempur-Curve pillow. They like how the pillow remains cool throughout the night. Another user who’d been having neck pains realized that his condition improved just a few weeks after using Tempur-Curve. Our runner up to the best tempurpedic pillow available, is designed specifically for supporting your neck and avoiding neck arthritis. Getting the right support for a victim of neck arthritis is crucial. Regrettably, very few pillows live up to this challenge. Tempur is a unique pressure-relieving material that is patented by Tempur-Pedic. The symphony pillow is a unique blend of plush material & highly supportive design. Upon testing, we did find that this tempurpedic pillow is incredibly comfortable. It was able to support the head and neck pretty well. However, it’s not unusual for it to feel too firm within the first few days of purchasing it. Wait for about a week and it will adjust to your body shape. So no worries ! The most fascinating feature about Tempur-Symphony is its dual-sided pattern. How you use this pillow is entirely up to you. As such, you can rest your head on either side of the pillow regardless of your sleeping position. This unique design is why we ranked it as #2 among our run-down of the best tempurpedic pillow available. We also like that Tempur-Symphony comes with a detachable cover. You can remove it and wash it by machine anytime it gets dirty. Also, you can choose between two pillow sizes, that is, the queen and standard sizes. But the queen size is pricier, so if you have a limited budget, the standard size fits your bill and still provides plenty of surface area for you to continue dreaming all night. 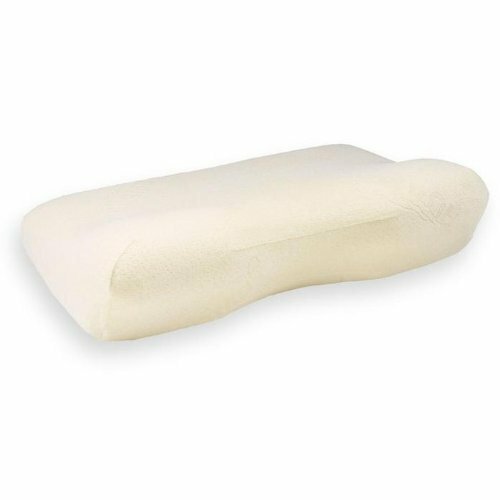 The Tempur-Pedic NeckPillow is also an excellent choice, particularly for persons who suffer from neck pain. It comes encased in a knit cover made purely from polyester and, similar to other tempurpedic pillows, this protects it from dust and allergens. What’s more, this cover has a zipper, allowing you to easily remove and wash it. For those who want their mattress and pillow to match their wall colors and with the décor of their bedroom, Tempur-Pedic makes it easy for you by providing an all-white pillow cover with the firm’s logo inscribed diagonally. As far as support level goes, Tempur-Pedic neck pillow is highly-supportive. It is a bit firmer than the Symphony pillow but its contoured profile provides a comfortable feel whether you are sleeping on your back or side. We do not recommend this pillow for stomach sleepers. An interesting design element of the NeckPillow is that it won’t slip out from under you while you are sleeping. Because it has contours, it anchors itself to the location where it is placed (and provides optimal neck and back support). On the cons side, like most pillows from Tempurpedic, this pillow has a strong smell when you buy it. But this dissipates after a couple of days – weeks. If you want this odor to drift away faster, just be sure to air it outdoors and follow the directions for use which indicate leaving it alone to expand. Within a few hours the odor is barely noticeable. 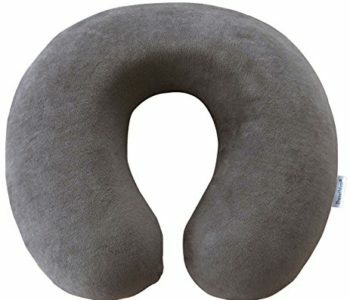 The NeckPillow is also the best tempurpedic pillow if you suffer from chronic neck pain or if you have recently undergone a neck surgery. The manufacturer claims that the NeckPillow can speed up your recovery by ensuring proper alignment of your head, neck and spine. 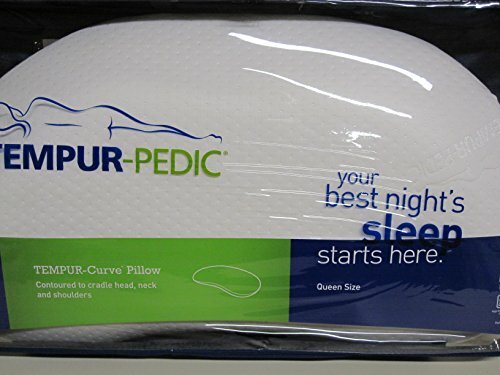 As the name suggest, this is the best tempurpedic pillow for side sleepers. It’s one of the few reliable pillows on the market that provides proper neck and spine alignment along with the Tempur material. Tempurpedic’s patented ergonomic construction consists of a curved edge, which is low at the middle and high on the sides. The front edge tilts forward slightly- a design that allows it to cradle your upper vertebrae for a therapeutic effect. Tempurpedic side pillow is fitted with a zip-off cover. This cover is easily washable and resistant to allergens and dust mites. It is made with 75% cotton and 25% polyester material. 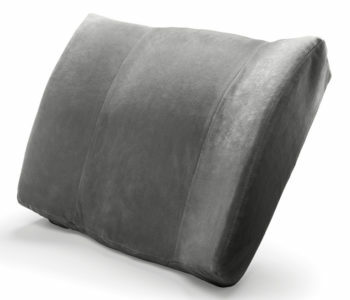 However, the pillow is made exclusively from the company’s visco-elastic polyurethane foam. The good thing with this material is that it becomes soft in warm weather but remains firm in cool areas. It means that the pillow conforms to your unique body based on your body temperature. Offers excellent head and neck support, especially for side sleepers. It’s the best tempurpedic pillow for side sleepers. Tempurpedic advertises this as a multipurpose pillow. 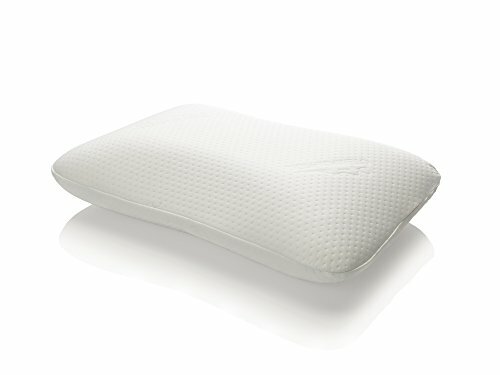 We chose to list this among the best tempurpedic pillow list because it’s a great all-rounder pillow. And, although it’s very firm, the pillow feels pretty comfortable. Like most pillows from this brand, it may feel too hard initially. But, after a few weeks of use, the visco-elastic foam breaks in and becomes comfortable. 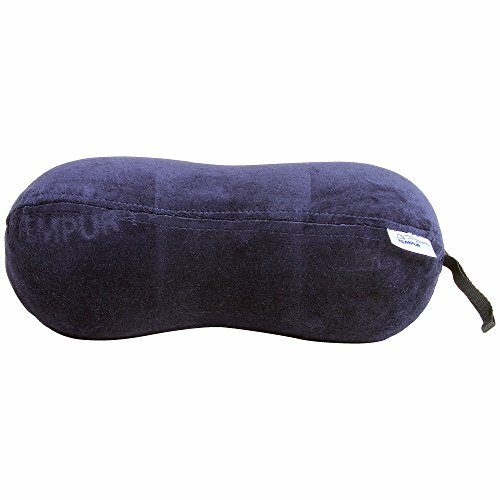 Tempur-all-purpose pillow supports your neck perfectly. You can even use the pillow while reading, watching TV or traveling (since it can be scrunched up). You can also place it under your knees to provide additional support as you rest and read on your bed. Some find that putting it between their legs helps to relieve tension in their knees, I just found that uncomfortable. Many customers find this pillow’s size appropriate for their needs. Its cover, which constitutes a blend of cotton and polyester, is not only breathable but also comfortable. Whenever the cover gets dirty, just throw it into the washing machine. Another perk is that the cover is resistant to dust mites and other allergens, which makes it the ideal choice for persons suffering from asthma or allergies. 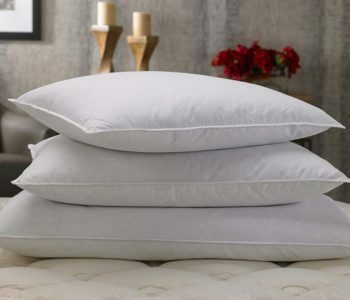 Tempur-Pedic is a renowned manufacturer and distributor of quality pillows. Like their mattresses, their pillows are made of viscoelastic foam- a material that is durable and dense. Viscoelastic foam is designed to detect an individual’s temperature and conform to the different body shapes and sizes. For the most part, it is this material that makes Tempurpedic pillows so effective. If you are looking for a memory foam pillow or body pillow, we suggest also checking out our guides on those products. On the other hand, Tempurpedic pillows keep your neck and head aligned while still relieving pressure points…so that you can enjoy a restful sleep. What’s more, these pillows are suitable for all sleeping positions. For the best experience, consider buying one of the top-rated tempurpedic pillows in our review. You won’t regret it!